Tacugama Chimpanzee Sanctuary is Sierra Leone’s only chimpanzee sanctuary, and provides a home for over 100 orphaned chimpanzees. Tacugama was founded in 1995 when Bala and Sharmila Amarasekaran realized the need for a permanent home for the many orphaned chimpanzees they had encountered during their lives in Sierra Leone. Tacugama has tracked the illegal ape trade in and around the capital city of Freetown for nearly 30 years, making it one of the earliest projects to evaluate the presence and unfortunate disappearance of illegally-held captive chimpanzees. Unbelievably, Tacugama also survived the horrifying civil war in Sierra Leone, and despite all odds the dedicated staff managed to keep each and every one of the chimpanzees at the sanctuary safe, despite repeated visits by rebel soldiers. Throughout all of this Tacugama has maintained strong ties with the local community and continuously hosts environmental education workshops, capacity building, and community development. Sierra Leone is home to a considerable population of chimpanzees and vast tracts of forest, both of which Tacugama work tirelessly to protect. By donating to Tacugama Chimpanzee Sanctuary you are supporting the care of the orphaned chimpanzees there, and contributing to their efforts to save wild chimpanzee habitat. Tacugama also runs the Sierra Leone’s most thorough wild chimpanzee study, conducting a national chimpanzee census and monitoring chimpanzees in fragmented habitats. 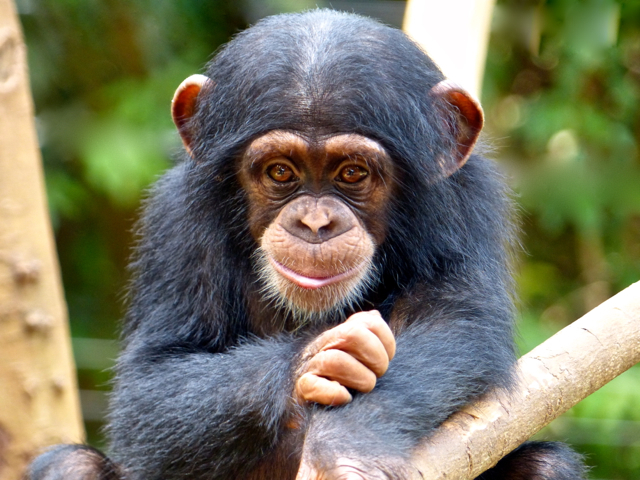 Learn more about Tacugama Chimpanzee Sanctuary on their website. Your donation will be processed by the Pan African Sanctuary Alliance (PASA), of which Tacugama Chimpanzee Sanctuary is a member. PASA is registered in the United States as a 501(c)(3) nonprofit organization. Donations are fully tax-deductible for U.S. taxpayers.